-or- pay later by invoice, as always. There are no items in your cart. Continue shopping on our Course Directory page. For over 40 years, Learning Tree has been at the forefront of innovative training products and improved workplace solutions that have enhanced the training of more than 2.5 million course participants. 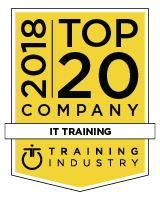 We are proud to be one of the top training companies in the world for IT training and workforce optimization. Recognized by leading IT industry associations, training organizations, peers, and colleagues, Learning Tree is proud to showcase these awards. 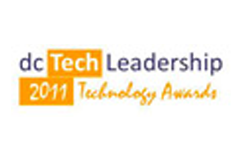 2011 dcTechSource Technology Leadership Award in the "Made in DC" category awarded for Learning Tree AnyWare™, the region's most innovative offering and latest technology development. 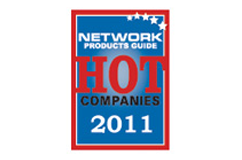 6th Annual 2011 Hot Companies and Best Products Awards in Best Deployment (Government Sector) awarded for the Federal Acquisition Certification for Program/Project Managers (FAC-P/PM) training program adopted by the U.S. Department of Veterans Affairs and other government agencies. Bersin & Associates 2011 Learning Leaders® Program Honorable Mention (2011) in Learning and Talent Management for innovation of its live, online training delivery solution—Learning Tree AnyWare™—proven to drive business results. 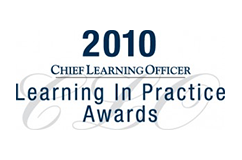 CLO Learning In Practice Bronze (2010) Excellence in Content awarded for developing a FAC/P-PM Training Program. 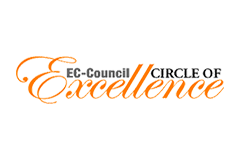 CLO Learning In Practice Silver (2009) Excellence in E-Learning awarded for its work with global information infrastructure leader EMC² in pioneering the application of Learning Tree AnyWare™, a proprietary live, online training delivery solution. The instructor for my course was by far the best I’ve ever had. Thanks to him, I can confidently say that I‘m performing better at my job now than I was before. I am so grateful for the knowledge I gained, and would heartily recommend Learning Tree to any developer. Learning Tree is the premier global provider of learning solutions to support organizations’ use of technology and effective business practices. © Learning Tree International, Inc. All trademarks are owned by their respective owners. Click here for details.